We are a group of parents who have children on the Autism Spectrum or who suffer from inflammatory diseases such as Chronic Fatigue Syndrome or Fibromyalgia. Recent studies suggest a link between these conditions. We each know how overwhelming it can be when your child is first diagnosed. As well, we understand the daily struggle as well as the joys of raising these very special children. We have come together to curate and create resources that have been helpful to us in the hopes that these will help other parents struggling to care for and to help their children thrive. One of the contributors to their website is in the phase of building up a resource database their network, and stumbled across Chicago Resource Hub. What a surprise to me since their network is based in San Antonio, Texas! However, we still have been able to share resources, and so the leader from Caring 4 Our Kids sent over some great tools that I have added to the Disability and Educational Resource section of Chicago Resource Hub. There were still some other resources that didn't quite fit in well with the organization of Chicago Resource Hub, and so I've decided to add them as a blog entry. 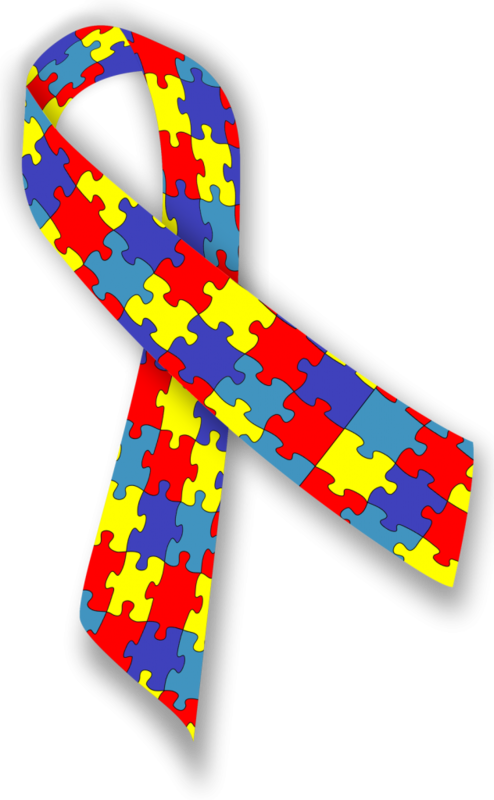 Kids with autism have an excellent chance at enjoying happy and successful adult years upon learning life skills early and often throughout childhood. Repetitive practice of each life skill at an early age gives kids a chance to embrace independence without the repercussions of failure. As you lead your child through the various tasks, you will have the opportunity to offer correction and praise to reinforce the adoption of each skillset. You will need to go through the list of important skills your child will need to navigate adulthood to adequately prepare him or her for life in the real world. For individuals with autism, self-awareness is not a skill that comes naturally. Therefore, personal care routines do not usually rank highly on the list of things to do. You may notice that your child does not worry about wearing clean clothes or brushing his or her hair. Skipping a shower or tooth brushing session does not give pause either. Without learning to integrate these tasks into daily life, autistic individuals may struggle in adulthood. Since total wellness hinges on the ability to care for oneself properly, cavities, skin conditions and other health problems could arise from these missed routines. You can help your child adopt a daily personal care routine by providing a detailed task chart with each item broken down into small steps. Provide a sticker for each completed task to reward a job well done. Daily chores can help your kid with autism understand the demands of living in their own home. You should start slowly by assigning just one chore and breaking the task down into its most basic steps. Work alongside your child to model the correct task sequence. When tidying up the kitchen, for example, it is wise to show your child to wipe the counters before sweeping the floor to avoid having to redo the first task over again. Once a week, rotate the chores to allow your child to experience the procedures involved in completing each task. Within several months, your child will have learned how to do the dishes, mop the floors, vacuum the carpets, make the bed, do the laundry, put away clothes, weed the garden, feed the pets and make meals. Over the years, increase your child’s to-do list to build endurance for completing a number of repetitive tasks in a row. Encourage your child to come up with his or her own chore completion methods and routines to improve independent thinking and planning. Kids with autism do not always pick up on social cues that seem obvious to others. The missed social cues and a lack of self-awareness often cause difficulties maintaining friendships and relationships. Even work relations may become strained from this lack of awareness in social settings. Have your child frequently practice talking to people in various situations. Allow your child to make purchases at the store, ask for directions, say hello in passing and maintain a short conversation to learn the basics in social skills. Talk about cues that indicate the way the conversation partner may be feeling at any given time. An important part of healthy social skills is the ability to excuse oneself for a break when emotions cloud judgement or become overwhelming. Teach your child to gently, yet firmly, request a break when key feelings or behaviors arise. These triggers will be unique to your child, so use observation and discussions to identify and utilize these important signs. Adequately moving through the neighborhood and surrounding city is an important skill that will frequently come in handy throughout life. You can instill good navigation and transportation skills in your child by allowing him or her to take the reins from time to time. Take long walks or bike rides together and allow your child to use a map to navigate around the area. Encourage your child to plan a trip for the whole family using the local bus, train or subway schedule and have everyone follow the route to the intended destination and back home. Talk about vehicle and pedestrian signs and signals along the roadways to teach your child to stay safe while moving through the city. As your child practices these skills, confidence will build and the procedures will become ingrained in the mind. If your child finds any step of the process overwhelming, break it into smaller steps. You can provide a procedural outline to help your child work through the problem from start to finish without triggering a meltdown. Have a backup plan available in case the stimulation on the public transportation routes feel too overwhelming at any given time. Helping your child build independence by learning these life skills will take plenty of time and practice. Take the teaching and learning process slowly to avoid overloading your child’s sensory system. By starting so early, you have the luxury of taking plenty of breaks from the process of teaching your child life skills. You can always return to the learning process once your child has enjoyed a healthy break. Consider your child’s normal state of independence, self-advocacy and adaptive abilities to gauge how to approach the teaching process. Use plenty of support tools, such as activity schedules, task outlines and reward charts, to keep your child engaged in the learning process without feeling overwhelmed.